With less than a week to go before Pope Francis visits Dublin the arrangements for people traveling to the Phoenix Park on bicycles still seems to be an ecumenical matter. As well as the event planned at the Phoenix Park there will be other large public events relating to the World Meeting of Families 2018 around Dublin city centre over the weekend, including at Croke Park, and the Pope is expected to visit a number of locations. 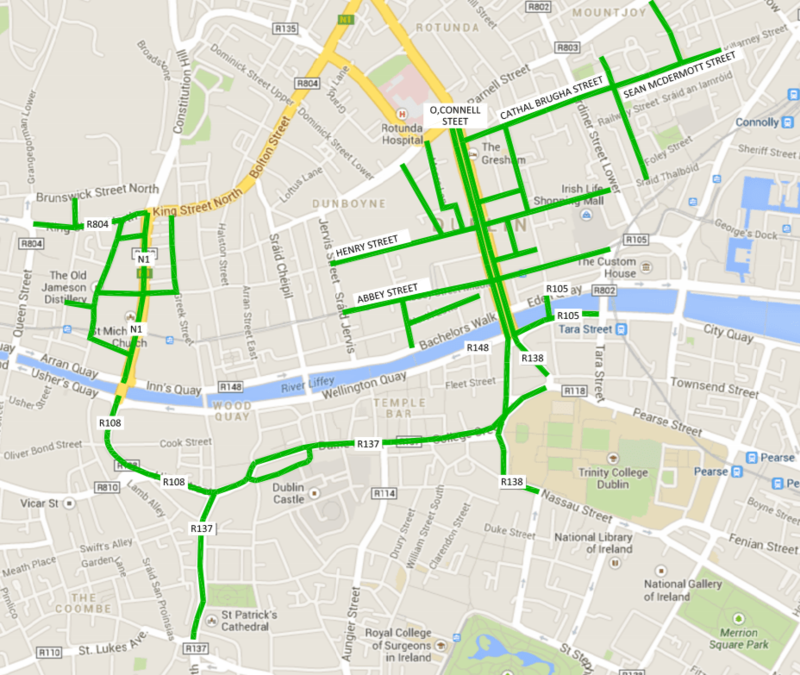 IMAGE: Road closures for Saturday, mostly between 12pm – 5pm, but some starting at 10am and others ending at 4pm. Rolling closures are also expected over the weekend. Based Government sources we published a news article on August 5 reporting that details of the bicycle parking for the Phoenix Park event was expected to be announced some time that week — two weeks later and the details have yet to be announced ahead of the Pope’s visit. However, there is still no mention of cycling the World Meeting of Families 2018 transport to the Phoenix Park page, the Government’s travel web page of the event still contains the on-of-date advise that cycling will not be allowed, and there’s no firm details the National Transport Authority’s travel advise page. Confusingly, the National Transport Authority’s page links to its online cycle planner and general travel planner for walking advise. But, at the time of writing, these planners do no seem to be loaded with planned restrictions for next weekend, so, people could use the systems to plan routes that may not be available on the day. We’ll report more as we get it.